Give your characters, mainly your MC (Main Character aka Protagonist) and your villain, a quirk, a certain way of speaking, etc. Maybe give them a catch phrase or a habit like chewing on a straw. Also, give them strange little quirks, such as an aversion to slimy foods or a fear of birds or have them like something that others would find odd, such as the taste of castor oil or give them an irrational hatred of something (such as, for me, I can’t STAND the Muppets). Little things like this can make your character more alive in your own mind, and therefore, you will more likely project them in a more vivid way in your story. What do you think? What are some elements of character you feel are important? Excellent points, Ally! I think my most interesting heroine is Grace from Every Step She Takes. Probably because she has a LOT of flaws inherited from the first book in the series before I knew she would have her own story. Surprisingly, I enjoyed working with those flaws and giving her an in-depth backstory as a reason behind them. I loved her hard edginess. BUT, while I had reviewers say she was very, very real, I also had a few say she was unlikable. So a heads up to not make your protagonists too flawed. Some readers might not be able to relate. That’s so true. That’s where I have trouble, giving characters flaws without making them unlikable. It’s a very fine line. 🙂 I also meant to add that it’s a good idea to give them some kind of reason for the flaws and maybe even the quirks, if you can work it in. Thanks for stopping by and for the head’s up! I think foreshadowing character traits is important. For example, one villain I wrote into a novel seemed like a perfect gentleman and mensch, except that when he smiled, his eyes remained wintry ( or cold or steely or his lips smiled but his eyes did not). So…when his villainy is revealed, the reader is not blindsided. Thanks for your tips–good as always! Great idea, planting something to ‘show’ the character of a character. 🙂 Thanks so much! Excellent advice. Villains without a redeeming quality often strike me as cardboard – one dimensional. Thanks for the post! They do for me as well, Ashantay. You’re welcome…thanks for stopping by! Great tips! I need to keep these in mind. Great tips and timely because I’m creating a villain for a new story and have to figure a positive trait. Super…I’m glad the timing worked for you. 🙂 Good luck! “I didn’t get my feel,” he said. Haha, yes, good point. Humor is always a nice touch. Love the exchange! Yes, it is definitely a fine line, because what one reader finds acceptable, another reader will find unforgivable. Some will see a caring character as weak and won’t allow for behavior that they may find perfectly reasonable in real life, but for some reason see as unbelievable in fiction. But your tips definitely will get people to feel something about your character–positive or negative, and that means they are involved in the story, which is good. Thanks for sharing your knowledge and experience with us! So true. And you won’t please everyone. But, we just have to do our best to round them out and let the chips fall where they may, right? 🙂 You are so welcome…thank you! That’s definitely tricky! Thanks, Leah. But it’s hard to come up with good flaws that don’t erode your character’s heroism. 😦 I can give my male characters flaws a lot more easily than my heroine, though. Make her too flawed and she’s not someone anyone would care about. Make her too weak, she’s annoying. Too strong, she’s annoying. Can you give any examples of flaws you’ve given your heroines?? You are SO right, Kimberly. I think our heroines are held up to a higher standard. Sometimes, it’s not necessarily flaws you give them as it is having them make mistakes. I konw what you mean about the too strong/too weak thing. I have been told about my Isle of Fangs vampire hunter, Liberty, that she learned her hunter skills too quickly and by someone else that she was wimpy and hadn’t developed enough. We just have to do our best to make them real and relatable. As for flaws I’ve given my heroines, as I said, I don’t do a great job with this, but I’m working on it. 🙂 My most flawed heroine was Eliza in Ruined. She was a liar and a prostitute. She did both in the course of the story. I don’t think I had anyone say they didn’t like her. With my Heart of the Witch, my heroine was emotionless. In Without Mercy, my heroine was not doing a great job of juggling single motherhood and her job. But, more importantly, in her efforts to protect her daughter, she made a few mistakes that had dire consequences, including getting a very close friend killed. In my current WIP, my heroine not only has a few odd idiosyncrasies, and a condition called misophonia, which makes her become very annoyed by irritating eating noises, etc (Which is an actual condition, which I have myself), but she’s also not all that ambitious. Even though she’s a good cop, she doesn’t try to move up or go beyond her job duties. In each of these instances, my characters had pretty valid reasons for these flaws, but they are flawed, nonetheless. Does that help? One more thing…I have a list of character flaws that might help you come up with some things to attribute to your characters. I will email it to you. Um…can I just say WOW and reading about the deep issues you took on makes me really want to read your books to see how you helped these women grow!! 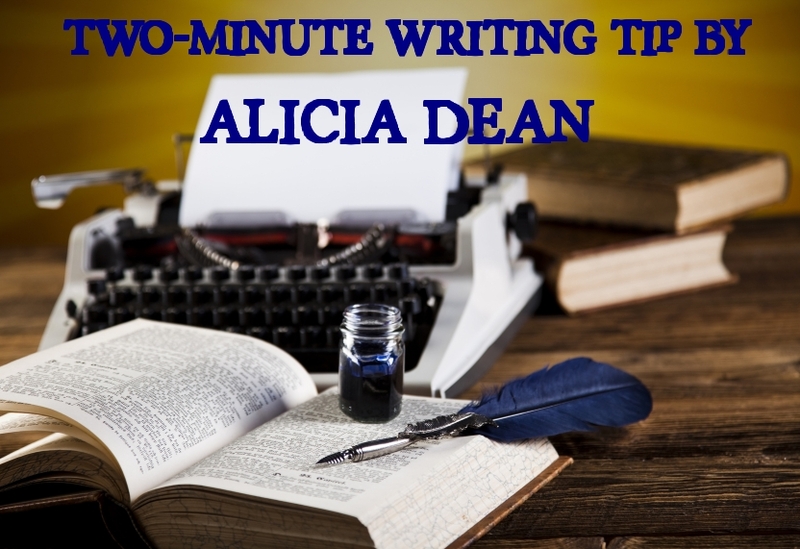 ps I LOVE your blog and two-minute-tips! Love the tip. I like taking a positive trait to extreme (for the villain). Yes, I LOVE doing that. 🙂 Thanks, Diane!